My nine-year-old daughter loves mince pies. As soon as they start appearing in our local supermarket she sneaks them into the trolley or surreptitiously adds them on to the shopping list. Despite her best efforts, I've been firm – no mince pies until Christmas, or, at least December – come on! "Why?" she asks again and again, often with some pre-teen eye rolling. "Because, it's tradition," I say. "If we ate Christmas foods all year round they wouldn't be special." But where did that tradition come from? Who invented mince pies? And why? In a quest to shed light on such mysteries, I've done some pre-Christmas sleuthing and hunted down 11 things you probably never knew about mince pies. 1. According to the Independent, mince pies date back to the Middle Ages when men returning from the Crusades brought back Middle Eastern recipes containing meats, fruits and spices. Not so British after all. 2. Pastry was a far cry from the buttery, flaky deliciousness we know today. Instead, the pastry – made from flour and water paste – was a case to keep the filling moist while baking, the BBC once reported. 3. Early mince pies weren't always as sweet as they are today. They were once made from actual minced meat (not to be confused with fruity mincemeat) mixed with fruit and spices such as nutmeg and cinnamon. They were also known as "mutton pie", "shrid pie" (because of the shredded suet) and "Christmas pie". 4. In the 16th century mince pie recipes called for beef tongue. In fact, boiled beef was an essential ingredient at one point. An 1833 recipe advises cooks to be "very careful to get out every particle of bone and gristle". Yum. 5. Savoury mince pies started to fizzle out by the Victorian era. Mrs Beeton's Household Management book listed several mince pie recipes, but only one contained meat. 6. Mince pies haven't always been small and round, says the Independent. In the Tudor period they were larger and rectangular – in fact some recipes refer to a "coffin" pie crust – very festive! 7. 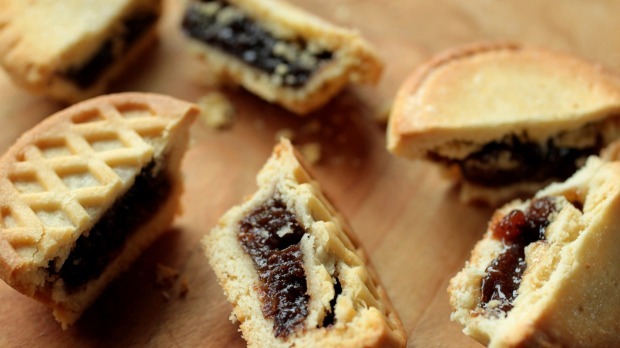 In Stuart and Georgian times, mince pies became a bit of a status symbol. Wealthier people could afford fancier ingredients and employ cooks to make them – sometimes into star, heart, and flower shapes. 8. 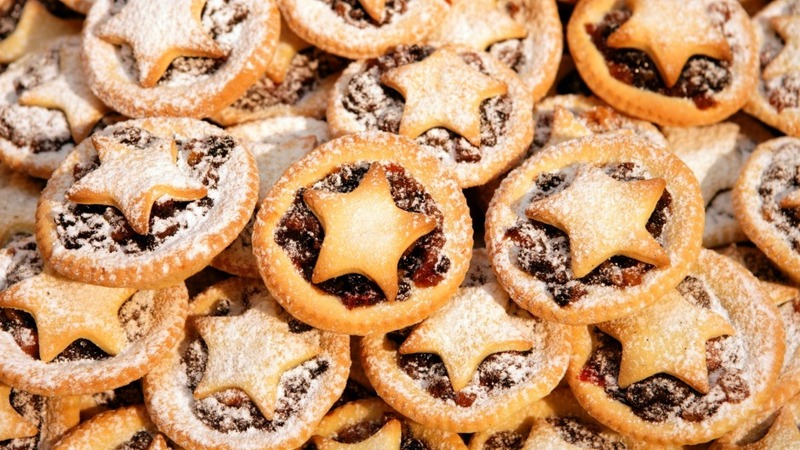 There are several theories that try to explain why mince pies are associated with Christmas. One legend, according to the Telegraph, is that the spices are a nod to the three gifts of the three wise men. Others have claimed that the shape was meant to represent Christ's cradle. But both of these stories have been dismissed as "fairy tales" by British food historian Ivan Day. 9. Mince pies have been established as Christmas food since the 17th century. English diarist and naval administrator Samuel Pepys mentions them in his diaries – one year his wife was too ill to make them, for instance, and they had them delivered. Another year Mrs Pepys stayed up till 4am to ensure that the mince pies were ready for Christmas Day. Now that's dedication. 10. In recent times, it has been a British tradition for mincemeat (dried fruit, sugar and a dash of brandy) to be made on "stir-up Sunday", the last Sunday before advent, along with the Christmas pudding. Superstition dictates that the mincemeat should be stirred clockwise – conversely, stirring anti-clockwise was thought to lead to bad luck. 11. Eating one mince pie per day for the 12 days of Christmas was thought to bring good health and happiness to the family, mince pie manufacturer Walkers claims. Another tradition is to make a wish on your first mince pie of the season.